Happy New Year, my friends! Here at Stay at Home Solutions, we really enjoyed celebrating the holidays, but we’re even happier to get back on track with our purpose to serve the Kansas City area and beyond. Our mission is to help people figure out what changes they need to live at home safely and independently as long as they choose. What do I mean by making changes in the home? They could be as simple as putting an automatic sensor night light next to the bed or placing the most used dishes closer to your reach. 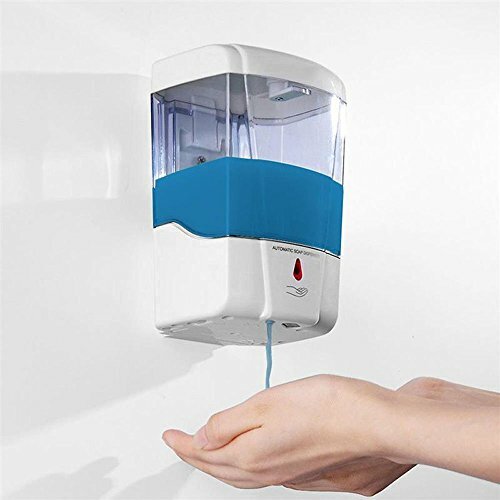 Some changes in the home may be more extensive like installing a barrier free shower or making one entryway stepless. Believe it or not, many people don’t have the choice of living in their own home. Falls and injuries in the home are often the culprit to why someone needs to move out of their private abode. Unfortunately, I’ve seen a lot of well meaning friends and family members make the unwanted decision to move their loved one into a senior living community or a nursing home. It’s hard for every party involved in this situation. No one wants to have their loved one move into an institution. Let me help you prevent this scenario in your life! There are many preventable actions you can take today to avoid having someone else decide when you move out of your house. Make it your resolve to call us to help you navigate what actions to take! I’ll tell you what actions Esther took to help her live in her home safely. When I saw Esther, she explained that she barely took showers because she was scared to death of falling while getting in and out of her shower. I didn’t blame Esther at all. Looking at the shower I wondered how she managed to get in at all! The shower required her to step up eight inches and had a small, slippery built in seat. Now, I know that doesn’t seem like a big deal to you if you’ve never had problems moving around. But it’s a BIG deal to a lot of older adults. During my evaluation, I noticed Esther was weak and needed quite a bit of help from her caregiver to get in and out of the shower. 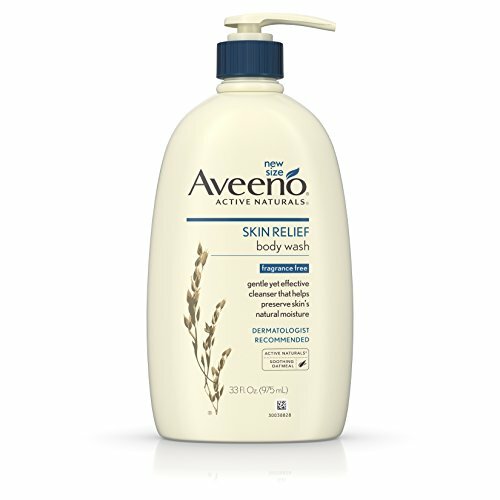 The chronic pain in her back and legs made it more difficult to shower without falling at a moment’s notice. Esther lives in a senior living community. The director of the community explained that the shower Esther had was newly installed. It was their version of a “walk in shower”. Naturally if Esther wanted a new shower, she could pay for it out of pocket. Sidenote: Why don’t these communities consult with occupational therapists? We can help them save so much time and money by not installing these step up showers! During my assessment, I measured the dimensions of the shower and noted that a shower chair with a backrest and armrests could easily fit inside. 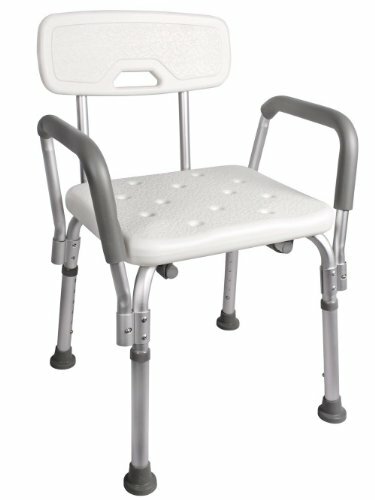 The shower chair would provide firm seating for Esther instead of the slippery built in seat. I recommended she install a couple of grab bars: one outside the shower and one inside next to the shower chair. Esther already had a long handled shower head to aim water wherever she needed while sitting down. Sitting down while showering saves energy and prevents falls. It also gives caregivers peace of mind to not worry about catching a slippery body! When the contractor came to install the grab bars, I worked with him on the best placement based off of Esther’s height and reach. I love customizing changes at home to the client’s exact needs! I can’t describe how amazing it feels to help someone feel safer doing what so many of us take for granted. Every day, we bebop along getting dressed in the morning, making coffee, driving to work, vacuuming, etc. We don’t think about what it might look like when we get older or if we were to have an injury. Now, Esther takes more showers during the week because she feels safe and comfortable. Her caregiver doesn’t worry about her falling as much while getting in and out of the shower. My work helped two people and gave peace of mind to Esther’s sons. This anecdote is just a small slice of what I do for people in my community. It’s amazing to tell people what I do for a living: I empower people to live in their home safely. This is my purpose on this planet. I’m challenging you to make a resolution at the top of 2019 right now. Your resolution is to take one action step towards helping you live at home for a lifetime. That action step could be many things: call me, look at my blog for ideas, watch my videos, or learn about financial resources for home modifications by clicking HERE. Just learning about your options for making changes at home can be tremendously helpful in the future when you need it. Why wait? Do it before you need it! Breaking a bone in your body is one of the worst experiences you can have in your lifetime. Trust me. I know this experience firsthand! When I was eight-years-old, I climbed the wobbly, rickety chain link fence in the backyard at home and toppled over to fall to the ground breaking my left elbow. I remember passing out from the pain after seeing my mother’s scared facial expression. At the hospital, I was given pain medication that completely knocked me out. The radiology tech had to keep prodding me to stay awake while taking x-rays of my arm. Eventually, I had surgery to realign my bones with two pins. I remember the whole experience vividly! I was small and nimble enough to not need any home modifications. BUT I needed help with getting dressed, going to the bathroom, taking a shower, and brushing my hair. The pain from my arm would wake me up sometimes at night. I had to sleep lying on my back with my arm propped up on pillows. I HATE sleeping on my back! Luckily, I am right handed and had all the benefits of youth while waiting for my arm to heal! I was able to easily manipulate brushing my teeth, drawing, feeding, playing card games, and anything else you can think of with my right hand. Recovery took no time at all for me as a child. As soon as I was able to use my left arm, I quickly returned to dance lessons and playing piano. I could never forget how my injury impacted my life in such a profound way. My mother was wary and extra protective while my arm healed. She made sure my sisters and cousins were careful when they played around me. Mom did not want me to be hurt again! Looking back, I not only see the physical impacts a broken arm had on my life. I also see how I changed the way I took care of myself and how my family members and friends treated me. As an eight-year-old, I was very independent in taking care of myself prior to the injury, especially as the oldest of four children. When I broke my arm, it felt like going in reverse needing even more help from my mother. She even tied my shoes again. I saw myself as an independent person changing into an interdependent person. That’s hard even for an eight-year-old child. I can’t tell you how happy and relieved I was to resume my independence again after my arm fully recovered. But not everyone can experience this type of relief. As an adult, injuries like broken bones can be more damaging and long lasting than what children experience. This is where it gets deep, people! Adults have decades of being independent in taking care of themselves and others. A broken bone drastically changes how they view themselves. Accepting help can sometimes be seen in the same vein as becoming older or aging. Of course, as occupational therapists, it’s easy for us to reassure adults with injuries that they are not old people (there’s nothing wrong with that anyway!). We educate them on all of the ways they can still do what they need and want to do. However, we do need to remind ourselves that when people break a bone, they are grieving the loss (temporary or permanent) of their independence and the way they used to do daily activities. Even little eight-year-old me grieved over not being able to play tag and ride my bike for a couple of months. Whoa. Grief? Yes. Here’s an example! Dave broke his tibia stepping off a sidewalk into the street while heading to a coffee shop. He had surgery and needed to use a walker to help balance while hopping on one leg to get around. He quickly realized he needed a lot of help with getting in and out of his house, bed, shower, and going up and down the stairs. Dave was frustrated he could not move easily around his house anymore. Dave even needed help picking up his dog’s bowls to put water and food in them! He felt like he had to rely on his wife to do everything. Dave started to feel depressed while his leg was healing because he wanted to do more by himself. Dave loved his wife, but he didn’t want to be soooo intimate with her while toileting and bathing. In this situation, it’s easy to see why Dave would grieve the loss of his privacy, caring for himself, and moving around. He feels frustrated on how much effort he has to put in to simply move around the house. These emotions are very normal for any person. Have you every had this type of experience? Can you relate to Dave? There are some things we cannot control whatsoever, like accidents. But we certainly can control our environment! Since we know breaking bones is such a challenging physical and emotional time, I am happy to say there are ways we can prevent lessen some of the pain and maintain our dignity by making changes in the home. 1) Create one entrance at home with ZERO steps. This will make it easier to use a walker to hop on one leg in and out of the house. Dave will be able to escape the home in case of emergency, see the doctor, go to outpatient therapy, spend time with friends at the ball game, etc. Dave can just enjoy not struggling to get in and out of his own house! He will not feel like a trapped prisoner! 2) Build a bathroom on the main floor of the house. Preferably this will be a full bathroom, but a half bathroom will certainly suffice! Put blocking in the walls in order to install grab bars later if needed. 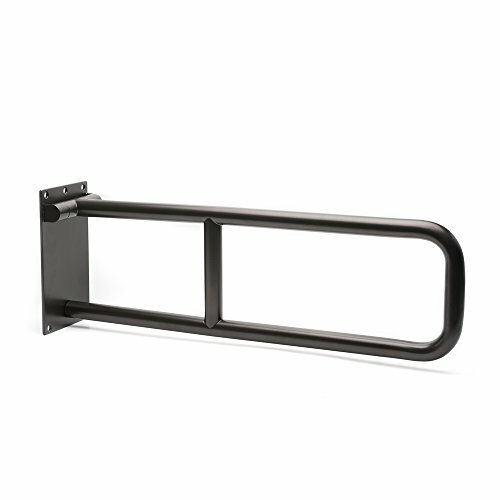 The blocking will allow you to install grab bars at any height! How neat! Grab bars could help Dave get on and off the toilet by himself, but there are a lot more options I can talk about with Dave and his wife. 3) Install a barrier free shower. Dave can easily use this shower with or without a broken leg! A barrier free shower lets you walk in and out without stepping over anything! This type of shower is perfect for all ages and abilities from wheelchair users to people who walk on two legs. Learn more by clicking here or here! If you can relate to Dave, you may want to consider planning on making changes to your current home. Life is unpredictable, but if you do it before you need it then you are setting yourself up to maintain your independence and dignity in your own home. Please comment below if you or someone you know has had Dave’s experience of grieving the loss of taking care of yourself. People often ask me about my opinion on walk-in tubs. Walk-in tubs look like tall bathtubs with a door that allows a person to step inside or sit on a seat to slide into the tub. After you close the door, you fill up the tub with water and bathe as usual. Walk-in tubs seem ubiquitous! Every time I turn on the TV, I see a commercial showing a smiling older adult confidently stepping out of the walk-in tub. 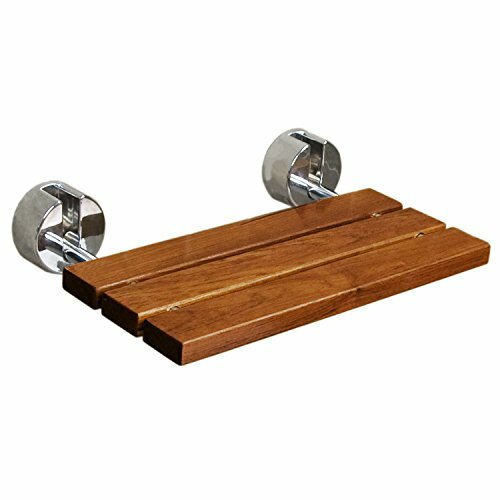 The announcer explains how easily walk-in tubs could replace your current tub shower and how this product improves your safety and independence. Marketers harp the ability for people to enjoy showering or bathing for their lifetime with these great, quality walk-in tubs. However, I think it’s a good idea to take a step back and look at the overall picture of walk-in tubs. In my experience as an occupational therapist working with clients from all backgrounds, I am not convinced walk-in tubs are suitable for everyone. I present to you six reasons to reconsider buying a walk-in tub! If you are contemplating buying a walk-in tub, make sure you ask for safety features like grab bars and non slip flooring and seating. Paying a little more up front will save money in the long run compared to the cost of an emergency room visit and hospitalization! Of course, you could add non slip decals or coating to surfaces after purchase, but that may violate the manufacturer’s warranty. Although you are stepping or sliding into and out of the walk-in tub, surfaces feel slippery when wet. Remember, the number one cause of falls in the bathroom is slipping while stepping out of the shower! Contractors are great at installing and building things, but their job does not include considering the size and reach of the client. If you have a hand held shower head installed along with the walk-in tub, you want it to be within your reach while you’re sitting down, right? Well my friends, sometimes the hand held shower head is installed out of the reach of the person who would like to use it. I worked with a woman who shared her story of installing a walk-in tub at home. She also requested to have a hand held shower head installed to rinse her hair while using the walk-in tub. My client felt dismayed when she discovered she could not reach the hand held shower head while sitting down. The shower head sprayed water all over her bathroom dousing the floor and walls! Talk about a fall risk! This particular client is very petite, which means standard measurements for hand held shower head placement do not work for her. I encouraged her to contact the company who installed it and request to place the hand held shower head in a different location. My client’s experience also highlights the fact on why it is a good idea for occupational therapists to be involved with home modifications, like installing a walk-in tub, in order for projects to be customized for the use of the client. This same client brought up another problem: she felt “frozen” while the walk-in tub filled up with water. Unfortunately, people need to sit inside the walk-in tub and close the door completely shut before you can turn on the water. Walk-in tubs do not come with any type of heating system, like radiant heating in the ceiling, and rely solely on hot water to warm the client. Walk-in tub companies report their faucets and drains move water quickly to lessen the client’s experience of feeling cold. But that still means you are going to feel cold while waiting for the water to fill the tub and empty out! Do you really want to pay thousands of dollars to feel uncomfortable? Installing a radiant heating system in the ceiling will increase the overall price of installing the walk-in tub. As people age, it is easier to feel cold, especially in your birthday suit! Many customers want a heating system for comfort. Make sure to look for a system that uses energy efficiently. Some heating systems can use a lot of electricity keeping you warm while you bathe in the walk-in tub. I found that people who feel cold or unsafe with walk-in tubs shower less frequently or not at all! These type of people “sponge bathe” or bathe at the bathroom or kitchen sink. It does not make sense to install a walk-in tub that is seldom used! If you have a progressive medical condition, walk-in tubs will not be safe in years to come. Progressive medical conditions, such as Parkinson’s or dementia, cause people to lose the strength and ability to move as well as they used to. Walk-in tubs require people to have a certain amount of balance and strength to open/close the door, step or slide inside and out, lean, reach, and sit/stand upright. When you lose the ability to do those things, the walk-in tub becomes completely obsolete to you. In fact, walk-in tubs become dangerous to try and get in and out! Dangerous to get in and out to take a bath? Inconceivable! Sad, but true! There are instances where people with progressive medical conditions have slipped off the seat in the walk-in tub to the floor. They were unable to push and lift themselves off of the floor of the walk-in tub! It’s terrifying when you consider that you cannot open the door until you drain the tub! Not to mention, it’s hard for rescuers to help people stuck in the tub because of slippery skin and bathroom surfaces. It may take hours for rescuers to successfully help a person out of the walk-in tub. Can you imagine being in the position? Walk-in tubs are not good for the caregiver (i.e. family, friends, or paid workers). 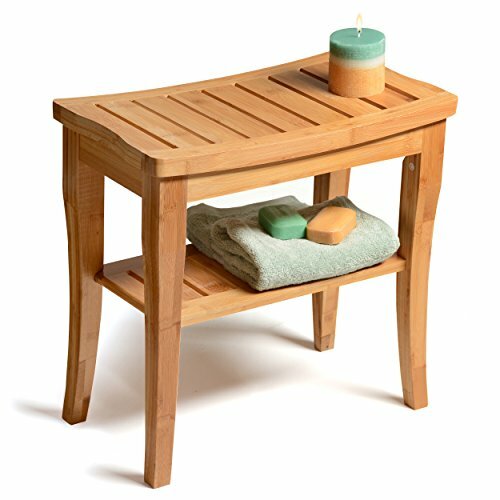 From an ergonomic perspective, caregivers may feel more back pain from assisting a person in/out of the walk-in tub and the extra bending and reaching over to help with bathing. For instance, it takes more effort for a caregiver to reach over and help a client with lower body bathing. Don’t be surprised if a caregiver will object to you installing a walk-in tub in your house! Walk-in tubs are very pricey for a lot of people. They can cost up to $20,000 depending on the model and accessories. If installed and you don’t like it, it will cost thousands to remove and replace it. Many people I know simply do not have the finances to install a walk-in tub. Perhaps that is for the best. I do not see walk-in tubs as a cost efficient option for the majority of the population because of the potential problems they cause. I really only condone them if a person has the finances and space in the house to install a walk-in tub in addition to a tub shower or barrier free shower. Look, I am not here to bash or put down walk-in tubs. I just feel like they are marketed as the solution for people who cannot get in and out of the tub. That is not the case: walk-in tubs are not the solution for every person! At the end of the day, I urge you to thoroughly consider all the factors when looking at a walk-in tub. List out your expectations and needs and then look at all of your options. Will walk-in tubs really meet your standard over the long term? 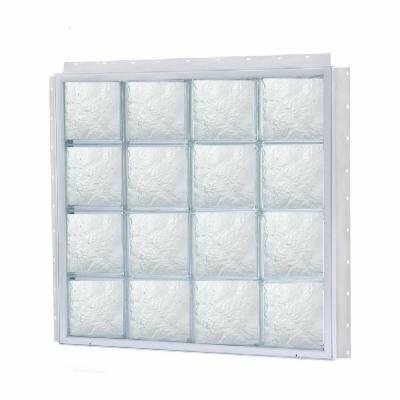 Have you researched other options such as barrier free showers? If you find yourself in need of some extra guidance, look into consumer reviews of walk-in tubs and call up an occupational therapist! Ask your friends and family if they have installed a walk-in tub. What did they think about it? For the cost and time to install a walk-in tub, I encourage you to be an informed consumer and make the best decision for you. I hate to see people completely dissatisfied with a product that affects their ability to bathe! I want to hear your thoughts or experience with walk-in tubs below in the comments. Tell me what you think! Showering: it is most likely one of the first things you do in the morning to wake yourself up and get ready for the day. Imagine now that something has happened to you and you are unable to get in and out of the shower like you used to. How does this change how you get ready for your day? Is there any way you can fix this problem so you can feel “normal” again? YES, there are changes you can make in your bathroom, also known as home modifications, to make showering easier and safer for you! Making changes in your bathroom is important to prevent injuries while showering. According to AARP, the bathroom is the most dangerous room in the house with 80% of all bathroom accidents resulting from a fall. If a person falls in the shower, they may have a fear of falling again. 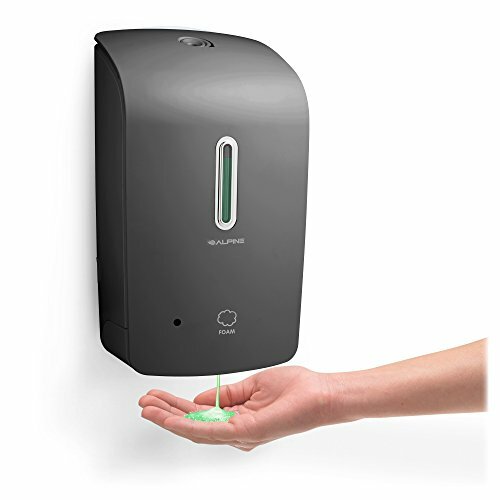 This increased fear may limit their movements while cleaning hard to reach areas, reduce the number of times they shower, or make someone stop using their shower altogether. How terrible is it for someone to feel unsafe showering in their own home? Occupational therapists are the professionals who can help you figure out the safest home modifications for you and your bathroom. AARP supports research in using occupational therapists for your home modification needs. Research from the U.S. and Australia shows occupational therapists have a unique look on making your home a safe and livable space (Stark, Keglovits, Arbesman, and Lieberman, 2017). Occupational therapists are trained to look at each person individually and find ways to make their home work best for them. 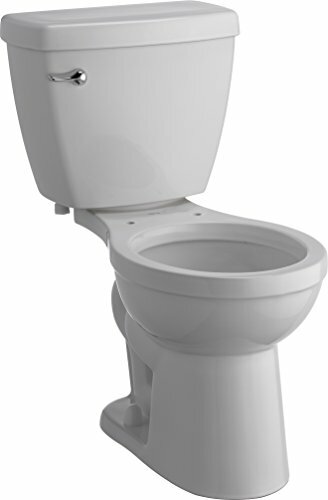 For example if your toilet is too low for you to safely sit down, don’t worry! 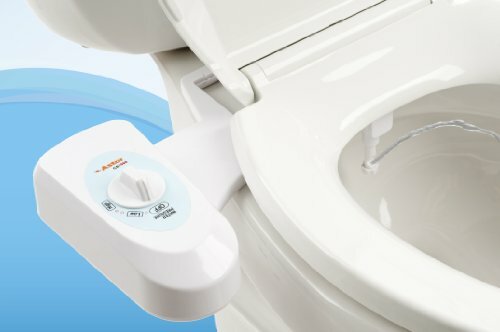 An occupational therapist can find a way to raise the toilet to a comfortable and safe height that is just right for you. Home is such a special place to each person. It is where you raised your family and made so many significant memories. Occupational therapists want to help you stay in this place for as long as you desire. Making simple changes in the home helped aging adults live in their homes longer and lessened the number of hospital stays due to falls and fall related injuries in a recent study in a community in Pittsburgh, PA (Dickson and Toto, 2018). Wouldn’t you like to stay out of the hospital? Find an occupational therapist today to help you stay where you are! When looking for an occupational therapist, you need to find one who listens carefully to your wants and needs. While we have found that occupational therapy is the best fit for home modifications, research shows that clients and family members were more satisfied with occupational therapists who paid attention to their specific needs (Aplin, Jonge, and Gustafsson, 2014). What works for some may not work for others! Occupational therapists are skilled at matching your ideas and thoughts with the best home modifications for you and your family. Now time for the fun stuff! I've got some great recommendations for you! Before you go on, remember to always include an occupational therapist in your home plans! Now read below to find out more! If you are able to remodel your bathroom or build a new house, I recommend you put in a barrier free shower with non skid or slip resistant tiles on the bathroom floor. This type of shower eliminates the step into a tub shower combo or standard walk in shower. This means that barrier free showers work for people of all ages and abilities. 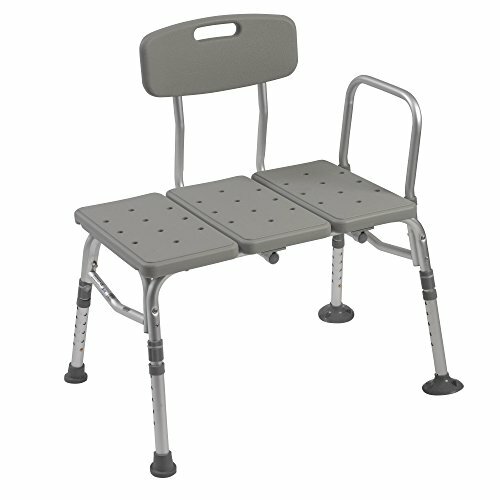 For instance, they allow wheelchair users to roll in and transfer to a shower chair or bench with no difficulty. Barrier free showers drastically reduce fall risks! No shirking off showers because of a fear of falling! If remodeling is too expensive for you, there are cheaper ways to make your shower safe! 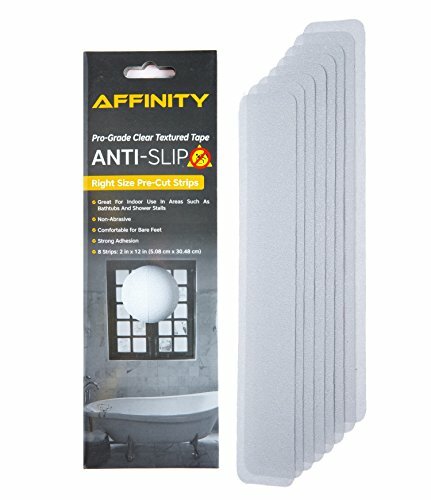 Non slip coating, like SlipDoctors, can be applied to your existing bathroom floor or tub shower surface as well. 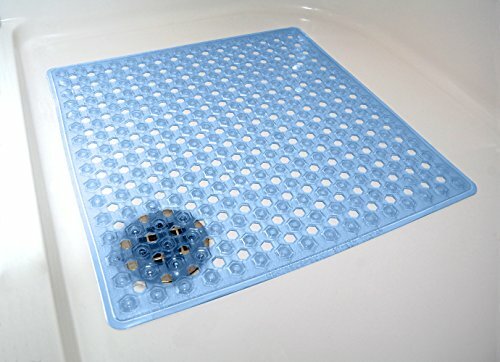 Non skid decals or non skid bathmats on your shower floor will add traction to your feet while moving around. 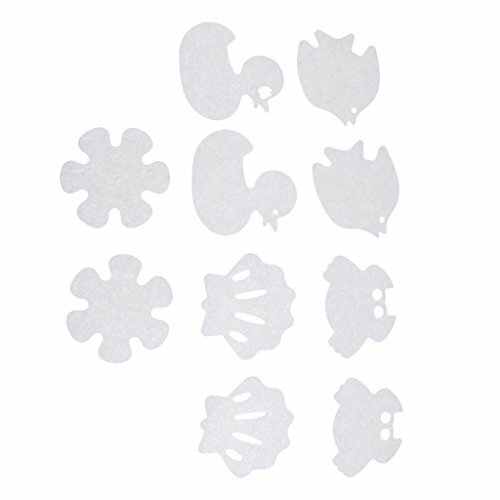 FYI: non skid decals or bathmats work in a similar way as non skid socks on hardwood floors. You can be fall free on a dime! 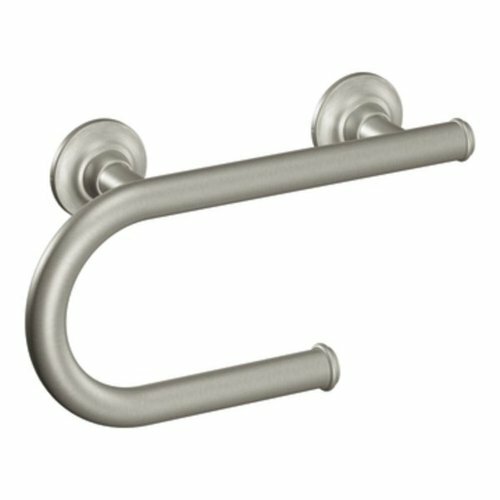 Only 19% of American homes have grab bars installed near toilets and in the showers (Centers for Disease Control and Prevention, 2011). 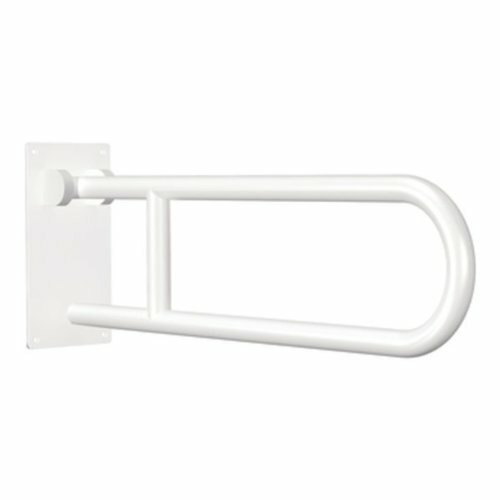 Grab bars on each side of the shower entrance and near any seating are great safety features because they allow you to hold onto a sturdy object for stability while you stand on one leg to get in or out. 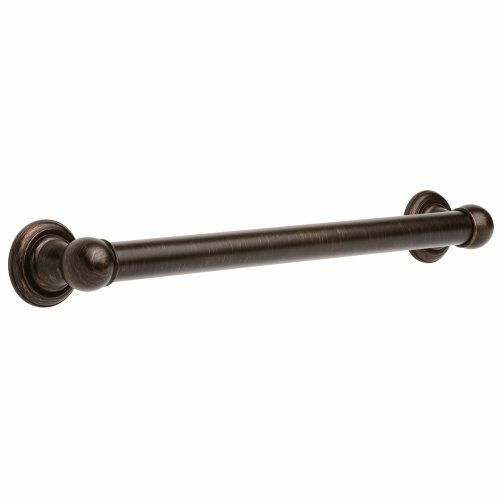 Grab bars are one of the easiest and cheapest ways to prevent falls in the bathroom. 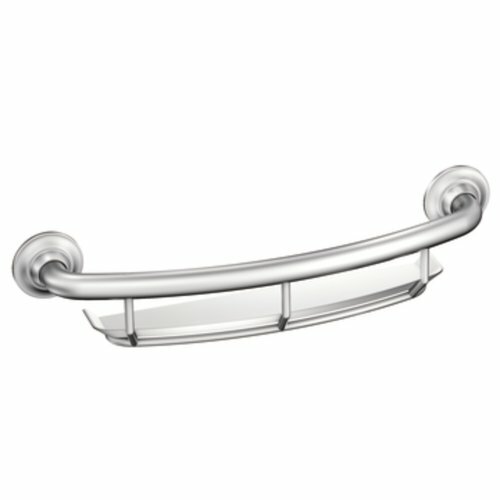 Recently, a client told me she had installed grab bars in her shower for safety and they were placed out of her reach. This client was unable to use the grab bars that were installed in her home! What a waste of time and money! 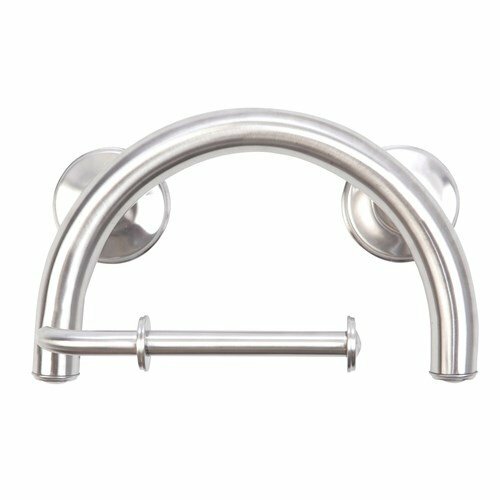 If the client consulted an occupational therapist who specializes in home modifications, she could have avoided installing grab bars that are not usable. Don’t let this client be you! Adding a hand held shower head can make rinsing easier for those hard to reach places. Bending over while standing to rinse may make you lose your balance resulting in a fall. 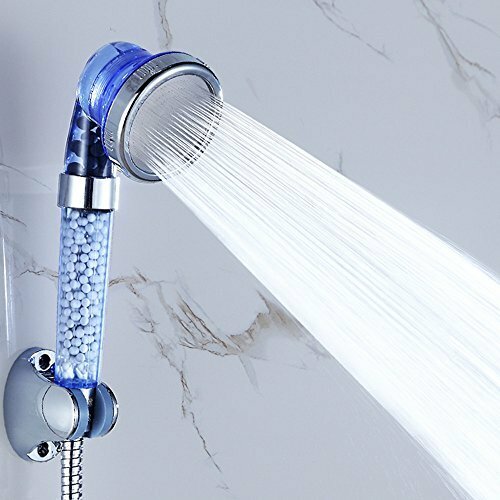 If you feel unsteady while standing, sit down and use a hand held shower head to rinse off your entire body. I would recommend installing a hand held shower head with a mount that allows you to adjust the height. Another benefit of installing hand held shower heads is the price; I found some as inexpensive as $10! 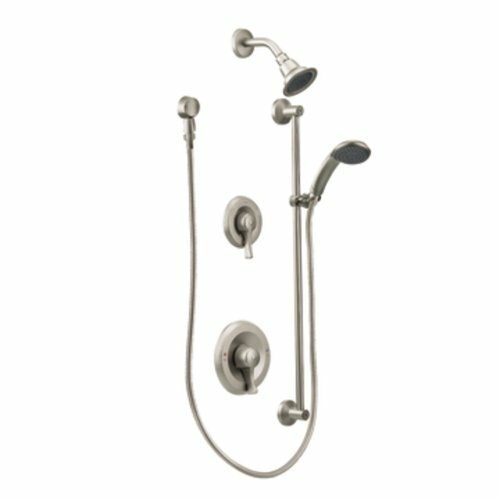 Plus, hand held shower heads are easy to install! You unscrew the existing shower head then screw on your new hand held shower head. Easy peasy! Speaking of sitting while showering, consider placing a shower bench or stool in the shower to save your energy and reduce the risk of slipping and falling in the shower! Sitting down to wash your body will make it easier to reach different areas of the body like your legs, feet, or back. Thoroughly scrubbed feet and shaved legs gives us ladies the feeling of sweet relief! Gentlemen, don’t discount the opportunity to sit and shave in the shower if you have a handy recessed shelf to store your shaving supplies. 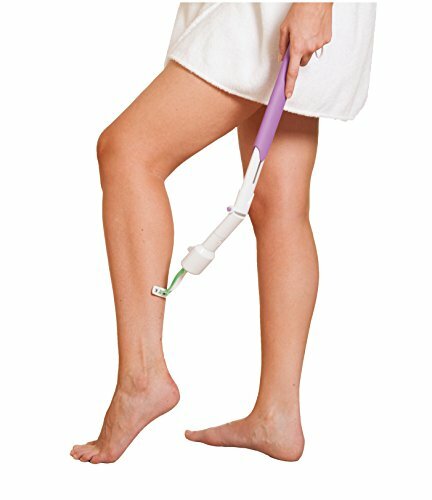 Using a long handled loofah and long handled razor can make lower leg grooming more comfortable! Being able to reach your back and legs to wash with a long handled loofah can make showering help you feel cleaner. 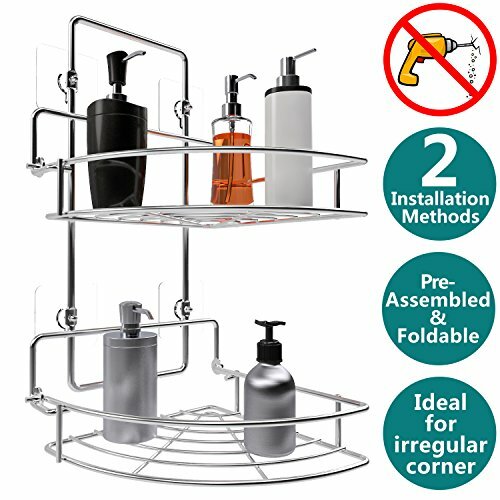 Consider adding a hook or shower storage rack to hang your supplies close to you. Extra lighting in the bathroom is always a good idea. You can add lights inside the shower area to increase visibility and decrease the chances of slipping on something unexpected. 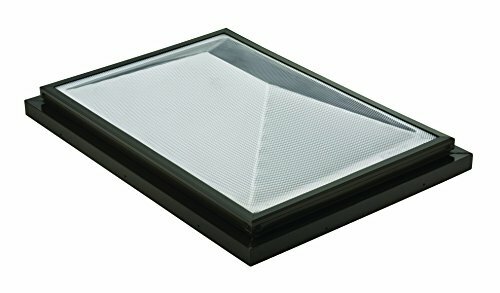 Also consider adding natural lighting with skylights or windows with textured glass, shutters, transom, glass blocks, or hopper windows. Natural lighting is attractive and makes us happy! As you can see, there are many different options to choose from when making changes to your bathroom. Occupational therapists can come into your home, evaluate how you are able to complete your daily routines, and offer you the best solutions to help keep you safe. Today is the day to take an action step towards empowerment and freedom to live where you want to live for as long as you want. 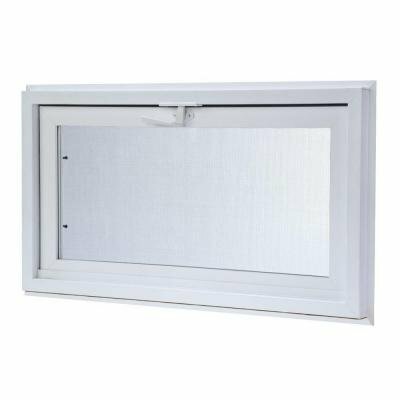 Home modifications can be a simple way to take away your fear of an uncertain future and replace it with the confidence to live a happy, independent life. In college, I took a class called, "Biology of Aging" with great curiosity. The class revealed detailed facts on the decline of every body system throughout the aging process. The recently deceased Philip Roth gave a quote to adequately sum up my overall feelings of the course, "Old age isn't a battle; old age is a massacre." Although it gave me a somber perspective, the class allowed me to be more empathetic and understanding of an older adult's experience while working as an occupational therapist in skilled nursing facilities. As we age, our sensations (i.e. eyesight, touch, smell, taste, hearing, balance) diminish making it more difficult to be aware of potential harm in our homes and community. There is an increased risk of falling with potential to damage paper-thin skin or break bones plagued with osteoporosis. The medications prescribed for heart problems, diabetes, sleep problems, or allergies can make older adults feel dizzy when standing up and moving around the home. Seniors feel insecure about urinary incontinence while going out into the community with the fear of having an accident in public. Fear not! Aging is not a doom and gloom story. This article is not meant to make you feel depressed or sorry for older adults! I am writing this to show you why life is different as we grow older. The good thing is there are A LOT of things we can do to help ourselves stay safe and independent in our homes. 1) Look for one entryway into the home with NO stairs. This is called a zero step or zero level entry. Why is it important? Because no stairs equals less chance of falling! It's so handy when you're carrying groceries or laundry in and out of the house! 2) Examine the toilet. Are you struggling to get on and off of it? A history of back, knee, shoulder, and hip problems may make toileting more difficult in the future. If so, call an occupational therapist to help you find the right solution for your specific needs and bathroom set up. In my experience, everyone has different needs to keep toileting independently. 3) Consider having an occupational therapist give safety recommendations for the shower! We look at factors like the type of shower, shower faucet, water controls, flooring, color contrast in the bathroom, secure seating, and a person's ability to shower on their own (and how to keep it that way!). If you make changes to the entryway, toilet, and shower, I guarantee improved safety and independence for older adults at home. I am very passionate in helping people remain in their homes for a lifetime. Won't you consider taking a look for yourself or family member today?